I am proud to be a "hometown girl" with family roots in Henderson County dating back many generations. I have watched Hendersonville grow from a quiet little town to a vital, desirable destination with the sophisticated amenities one expects to find in larger cities. This growth, in part, has been made possible by visitors like you looking for a quality lifestyle without the hectic pace found in those larger cities. 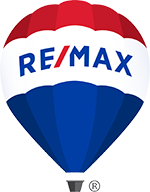 I began my Real Estate career in 1987 and joined the ranks of RE/MAX Agents in 1992. As a RE/MAX Agent, I have worked my way up from The 100% Club to the RE/MAX Hall of Fame. My pursuits are not limited to serving the Real Estate needs of Buyers and Sellers. 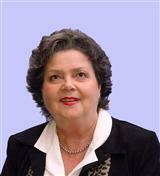 I have served in the community in many capacities over the years in community organizations and on various boards, including: Past Rotary member and Paul Harris Fellow; Vestry member of Historic St. John in the Wilderness Episcopal Church; Pardee Hospital Foundation; Downtown Hendersonville, Inc.; Chamber of Commerce; Flat Rock Playhouse; Hendersonville Board of Realtors; Dispute Settlement Center; Henderson County Historic Courthouse; Four Seasons Hospice; and Daughters of American Revolution; as well as being past recipient of the Chamber of Commerce Small Business Leader Award.